This trip is designed with family in mind. We travel at a relaxed pace on the trail through the picturesque "Reserve de Portnuef". We stop at the many points of interest along the way for family photos. By late afternoon, we check into a gorgeous chalet. Some in the group may choose to participate in outside activities, while others will choose to socialize inside around the fire. Dinner time brings the group together for great food and conversation. 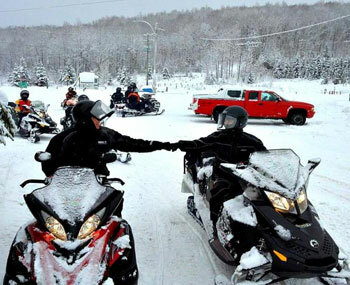 Winter is celebrated in Quebec! 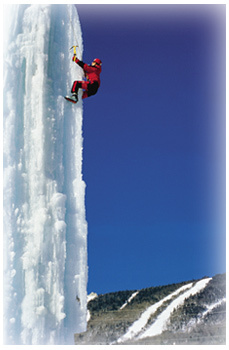 Our trips offer many exciting outside activities. 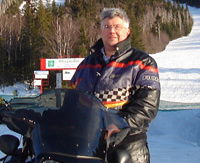 You may ride a snowmobile to the Hotel de Glace (Ice Hotel), for a tour of a hotel made of ice and snow. Would you like to mush a team of dogs pulling your sled silently through the forest? Perhaps explore by snowshoe areas usually out of reach. 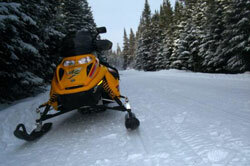 Enjoy cross country skiing. Bowl on the ice. 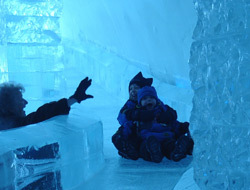 Visit an ice fishing village. See one of a variety of museums. Indulge yourself with a body massage. For the bold, there is the “Scandinavian Bath Therapy”, a cleansing of the body, which is best described as alternating between a hot sauna and ice cold river! 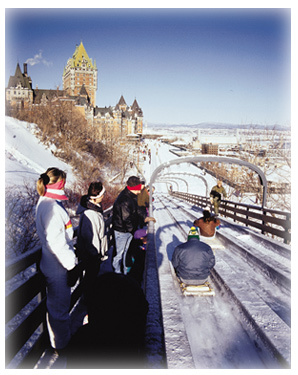 Quebec’s renowned hospitality and warmth are present for all Bonvoyage activities! 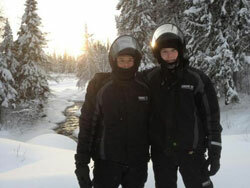 A relaxed, three day snowmobile voyage through the beautiful Reserve de Portnuef. Children are welcome.